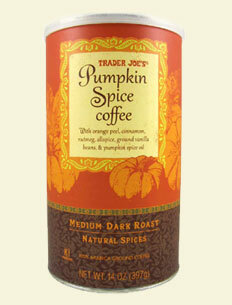 #1 - Trader Joe's Pumpkin Spice Coffee. #2 - TWO NEW TEETH! #3 - STEVEN CURTIS CHAPMAN IN CONCERT AND AN OVERNIGHT DATE NIGHT TO GO AND SEE HIM. Really. Does this one NEED further explanation!? 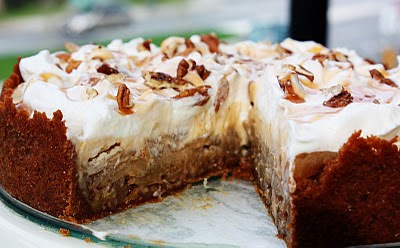 #4 -Caramel Apple Cheesecake Pie. Does this one really need an explanation either?! #5 - THIS blog post from Monica at The Homespun Heart talking about Days When Beauty is Hard to Find. It was very encouraging to me to read at the end of a very long day (of teething.) I had been screamed at all day and felt stressed out to the max. I finally sat down at 11 p.m. to catch up on my Google Reader and read this post and felt encouraged, convicted and encouraged. (Yes, I said that twice.) Being a mommy is HARD. WORK. It's hard to see the beauty in it sometimes, despite the fact that it's there to be found anytime. I needed an attitude adjustment. This post came just in time. What are your blessings from this past week? Care to share? I'd love to hear. In the meantime, I hope you have a lovely weekend! That cheesecake looks delicious!!!! This week's blessings? The sun is shining today. We had a fun field trip to the police station on Monday (I'm not being sarcastic when I say that!). I had 2 routine dr. appts. this week that confirmed I am indeed as healthy as I feel. And Daddy had Monday off which is always fun for us. Overall, a good week. That cheesecake does look awful good! I've heard people mention different types of pumpkin-flavored hot drinks. I can't fathom it yet. I don't know if we have a Trader Joe's anywhere near here, but a sampling station would be very helpful! Glad the teeth finally poked through! And that cheesecake? It looks way too good! Now I'm off to check the inspiring post! Happy, restful, weekend Carrie! Just stopped by to say congratulations on winning this weeek's Betsy-Tacy giveaway, when I spotted your review of Basil of Baker Street (only a year after you wrote it). I had no idea this was ever a book! I ADORED the movie when I was a kid--still do, for that matter--and I can't wait to read these books now! Thanks for the tip! I love the smell of TJ's Pumpkin Spice Coffee, but since I like coffee, I prefer it 'straight'. I can imagine how good it is though with that cheesecake! Hang in there with the teething :) Poor baby--it's truly painful for the little ones (and the mommies, too). Wow. That dessert looks amazing. Thanks for the link -- my dad loves apple pie and cheesecake :-) Hurray for teeth, good smelling coffee, and date night! My mouth is now watering, thank you very much. I have got to give that recipe a try sometime! Teething. It's no wonder we don't remember babyhood. Glad they finally popped through and babe and Mom can have a break. I love pumpkin spice coffee. Too bad we don't have a Trader Joe's though.